Maria Di Pede founded Mi Janeaux in 1991. 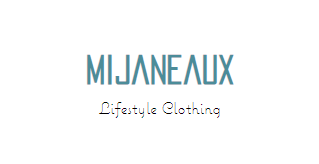 MiJaneaux was born as a woman’s clothing label. She designed and wholesaled the MiJaneaux label to various boutiques in the GTA. Just to name a few Mendocino, Denise and Co., and Holt Renfrew. As the MiJaneaux label grew she moved her small studio space at Spadina & Queen to a more spacious location in Woodbridge. With intentions only to sell wholesale; Maria would be working into the wee hours of the night to meet deadlines! And often would hear knocking on her window from the Woodbridge residences to inquire about sizes and prices etc. Much to her surprise her fans grew into a very extensive clientele list, and before she knew it Maria’s company had been transformed to a beautiful neighbourhood boutique. In conjunction with the MiJaneaux label, you will find a wide variety...from denim to eveningwear. Also including Jewellery belts, Bags and shoes. You will be sure to find the most current labels from around the world; Joes Jeans, JBrand, Free People, Pink Violet, Black Halo, Stop Staring, Hale Bob, Tadashi Shoji, Greta Constantine and many many more. All the jewellery is hand picked and some of it hand made exclusively for Mi Janeaux. You will find belts form brave, below the belt. Shoes from Pour la Victoire and Kelsey Dagger. These are just to name a few. We hope to fulfill your fashion needs. We offer fashion consulting that can be arranged as one on one or with your favourite BFFs. Consider it private retail therapy at its finest. It is a wonderful idea for celebrations of any kind. To add to your shopping experience we include toasts and appetizers of your request. Are you the owner of Mijaneaux?